These men's jeans come to your rescue on below-freezing workdays. They're lined with fleece for warmth and comfort when you're out in the field. They have a relaxed fit and straight leg openings that fit over boots. Turn garment inside out. Machine wash warm separately. Non-chlorine blea ch. Tumble dry medium. Steam iron shell only. Do not dry clean. For better than 15 years I have worn the B155 DST Heavyweight Fleece Lined Jean here in the NC Mountains. 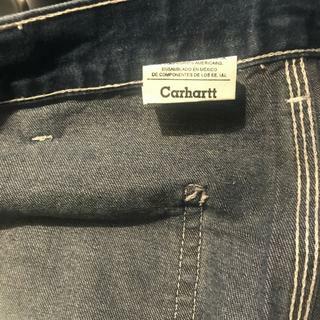 Carhartt dropped it and replaced it with something called the 'Holter Jean'. Beware this new product is nothing like the original Carhartt B155 DST Fleece Lined Jean. Overall look is great, good fitment but could use more room in the gusset area!! Good pair of heavy warm jeans. I am 5' 10" and 165 lbs. The relaxed fit is plenty big around the hips and legs. I would not want the Loose/Original fit, they would be too big. They don't shrink much so buy your regular size. I wish they came in black or some other color, don't like that washed out looking blue.. Also wish they rode a little higher on the waist, I am use to my original fit Wranglers. These fleece lined jeans were a Christmas gift for my stepson. I only got one pair but he liked them so much I ordered a second pair. He says they are very warm and comfortable when he’s working out in the cold! 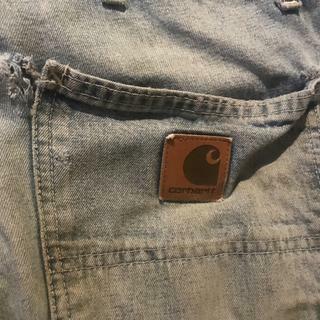 i always have a great experience with Carhartt and never regret any of my purchases ever, no matter if it's shirts, jeans or winter gear. I am a huge fan of these jeans they are comfortable and warm. Definitely recommend these jeans. Was not happy at all with the fit or quality of these jeans. Nothing like the Carhartt fleece lined that I've been buying for years. Zipper won't stay up. Seems to be a problem with all the Carhartt pants. We're sorry to hear this has been your experience. Please feel free to contact us at 1 800 833 3118 for assistance. Bought these for my husband and he loves them! They're nice and warm but not to the point where you're uncomfortable indoors or in the car. They block the wind and hold up well. I saw the Fleece Lined Carharts. "And I thought the Flannel lined Carharts were warm"
The Fleece lined Carharts feel like you have a blanket around your legs yet you still have plenty of mobility without feeling restricted. 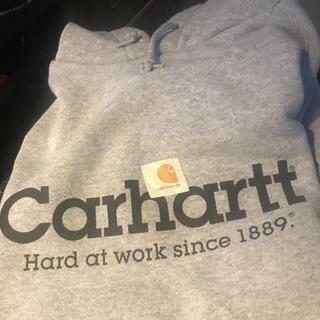 There is a Carhart for every season, and I will always wear Carharts. My husband likes these better than any. Stays very warm. Makes huge difference. These jeans are fantastic for when your outdoors and it's freezing temperatures. They are very comfortable and actually look nicer than most Carhartt jeans. Maybe it's the darker wash. Always a little skeptical of ordering clothes online, but these looked and fit great!! We're sorry to hear this. Feel free to reach out to us at 1 800 833 3118 so we can look further into this concern. My husband now has 7 pairs of these jeans & got his father a pair.He Loves them!! Amazing! Wish I had known about these sooner. The're insanely comfortable, and feels like you're wearing sweatpants. Ideal for working outside in cold weather or wearing to a game. And a good alternative (for me) to wearing typical jeans + a base layer. Order a size up on the waist and they'll fit perfect. Also priced very reasonably. I definitely will be buying more of these. The pants are nice but the pocket is sewn all wrong. It’s sewn into the seam of the leg and you can’t get in it. The front pocket. This is why I hate to order clothes because of the hassle of returning and the time it takes. I ordered a size up and the fit perfect. Not waterproof, different Jean material from the other pairs I have. They look and fit great, thanks. Great fit and very warm. Wind does not cut through. Fits a little snug. I ordered one size bigger then normal and still fits a little snug. Since I work outdoors during the winter and it can get real cold, these pants keep me warm throughout the day. I love these jeans. They are perfect for winter weather. High quality and they run true to size. I have five pairs of these pants, I wear them year around. They are comfortable and wear well. My wife loves the look (that's part of the reason I have so many). 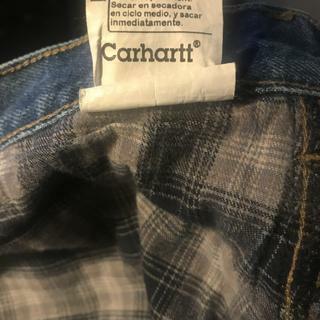 I have 10-15 other flannel lined Carhartts, I love them. Pants are comfortable and definitely warm. One downfall is the sizing. They run a bit snug. I usually am a size 29, bought a size 30 and they were still a bit too tight. Lined jeans not just for winter any more. Lined jeans with a 36” inseam are scarcer than hen’s teeth. I take a 36” waist but go with 38” to tuck in layers including thermal t-shirts and lined shirts. Fit great and are quite warm. Use them 4 seasons on the motorcycles. I was concerned they would be bulky cause of the fleece, but not the case at all..
Great jeans. Very warm. The waist runs just a little high. Too early to review quality and durability. 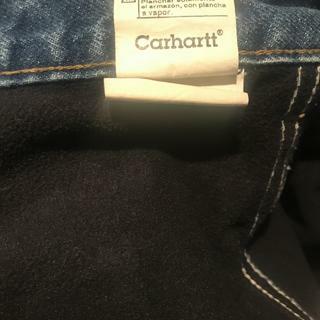 Would be interesting to see how they compare to 10.00 jeans. These pants are great! This pair is made of thinner material than my last ones...Thanks for offering these warm pants. Amazingly comfy and feel like sweatpants when they're on! We appreciate your input and will share it with Product Design. Please contact Customer Service at 1 800 833 3118 if we can provide any assistance. what does holter mean in a jean? BEST ANSWER: It doesn't have any significance in terms of the design or function of the product; it is just the name our design team picked for the item. BEST ANSWER: The lining is 4.5-ounce, 100% polyester fleece. This is not flannel lined. I've owned them quite a while now and wash them quite a bit. Have had no issues tearing or wearing down. The blue has faded some, but that's expected. High quality, well-built jeans. Happy with the product and will buy another pair. From my husband’s experience, they are extremely comfortable and very durable. Have had no problems with ripping at all, and he wears them to work. I think I'll have no problem getting another season from these jeans. Plus, they keep me warm in our tough California winter. Almost time, again. Wear them everyday when cold out, no wear on them yet. Great jeans. I wear a 32x30 in regular Holter jeans. Should I order a size up in the waist when ordering the fleece lined Holter jeans? BEST ANSWER: We recommend ordering your usual size.